Hijuelos was born in New York City, in Morningside Heights, Manhattan, to Cuban immigrant parents. He attended the Corpus Christi School, public schools, and later attended Bronx Community College, Lehman College, and Manhattan Community College before matriculating into and studying writing at the City College of New York (B.A., 1975; M.A. in Creative Writing, 1976). He then practiced various professions before taking up writing full time. His first novel, Our House in the Last World, was published in 1983 and received the 1985 Rome Prize, awarded by the American Academy in Rome. 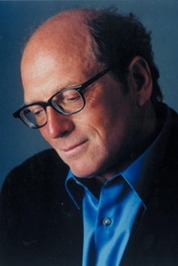 His second novel, The Mambo Kings Play Oscar Hijuelos (born August 24, 1951) is an American novelist. He is the first Hispanic to win a Pulitzer Prize for Fiction.